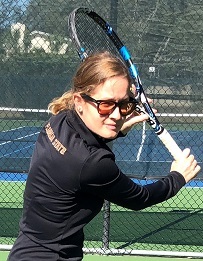 Zsuzsi Fodor, is a six-time Hungarian National Champion, WTA professional and a two-time All-American in singles and doubles, with over a decade of coaching experience. She has coached Jana Juricova, NCAA Champion at University of California, Berkeley, when the program was ranked top 3 in the nation and developed 'Most Improved' players at the top 30 ranked Florida State University. Fodor received her B.A. from Cal and her M.B.A. from FSU. She is currently based in Tampa, Florida.